Emergency funds can be sent to: Reverend Vragne Liberus in Petion-Ville, Haiti through Western Union. 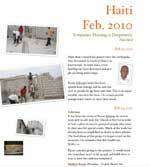 This is the fastest way to get money into Haiti and it's secure. All that is required is the name of the recipient and the area where the money is to be picked up. If you choose to donate for emergency relief this way, please email Rev. Liberus and Rev. Mathew Reven to notify us that the money will be at Western Union. If you have additional questions, please feel free to contact us. Greetings to you all from Haiti. � Friday, April 16, 2010, there is still a great lack of essentials for survival. Most of the relief efforts have focused on the major cities and very little aid has made it to the countryside. The Church at Bel-Air had a food giveaway and we were overwhelmed. 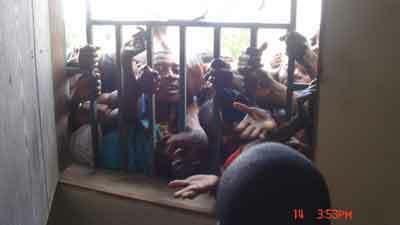 People were pressing against the building, begging for something to be given to them. God bless you we thank you for you support and prayers. In 1987, Rev. 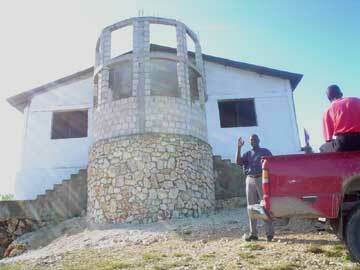 Vragne Liberus answered the call to the ministry and returned to his home in Haiti to plant a church in his home town. 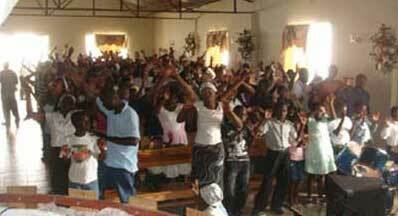 The EECU now has a network of churches in four of Haiti's nine states. Their vision is to provide support to the poorest communities scattered throughout these areas. This network provides food, medical aid, education and religious instruction to whoever is in need. Recently, three churches in the Dominican Republic were added to the network. This building is the focal point for many of the services provided. Primary school, vocational training as well as medical care are extended to all people in the community. For updates on what is going on with the EECU visit our International Network the United Hearts International. If you sign up, you'll recieve emails from the group and will be able to communicate with other members. This is a brand new resource so you can help with it's develpoment. One of the easiest and most effective ways to help is to sponsor a child. This program has been in operation for almost twenty years and provides the only opportunity for children in many of these areas to recieve food, clothing and education.